...actually it's a totally undoctored image. 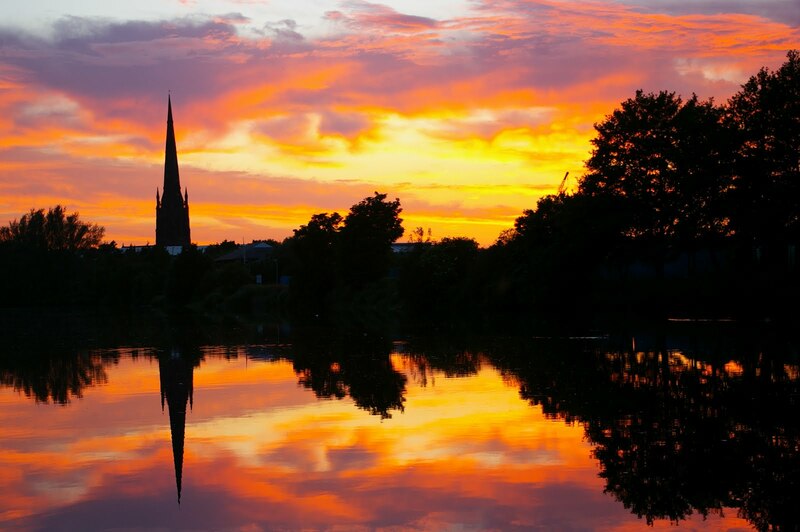 And amazingly enough it's of Warrington, taken from the Mersey looking towards the parish church. The church is in a really ugly location and Warrington is hardly photogenic but I caught this sunset one April. It was stunning and I have not seen one like it since.